From tomato fighting, to dead goat polo and glamping in the Cambodian jungle, our travel experts have come up with their alternative travel tips for 2018. The first of our travel tips takes you to Southeast Asia. Shinta Mani Wild is one to watch out for, aiming to elevate the glamping concept to a whole new level. 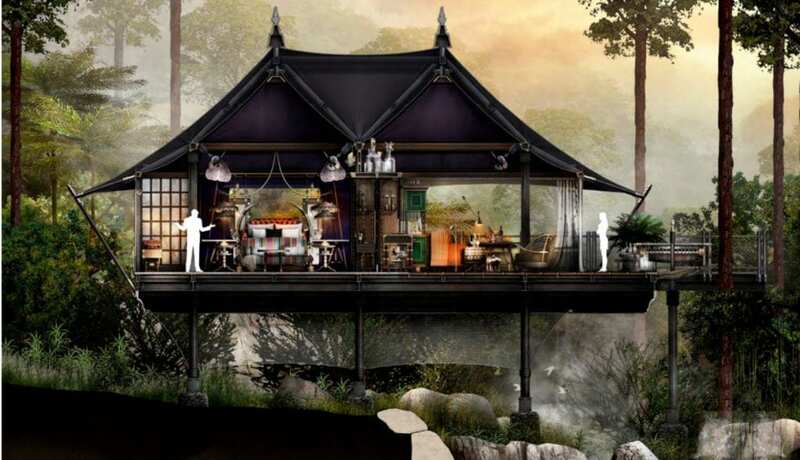 The private nature sanctuary nestled in the heart of Cambodian jungle is slated to make its debut towards the end of 2018, offering luxury camping in an unprotected wildlife corridor that connects Bokor National Park and Southern Cardamom National Park. Set along a 1.5km stretch of river rich with waterfalls, the site will pitch 16,100sqm, custom-designed tents perched over the river. Activities include luxury boating expeditions exploring Southeast Asia’s last wild estuarine ecosystem with accompanying rangers to check camera traps and study the wild forests and their inhabitants. Landing Zone Bar and Waterfall Restaurant will serve locally-inspired food, and Boulders Spa will offer a range of treatments. There are plenty of peaceful spots for nature lovers to relax amidst the surrounding rare flora and fauna. Giving visitors the chance to enjoy stunning scenery and nature at its finest in exquisite fashion, Shinta Mani Wild looks set to be one of the year’s hottest openings. 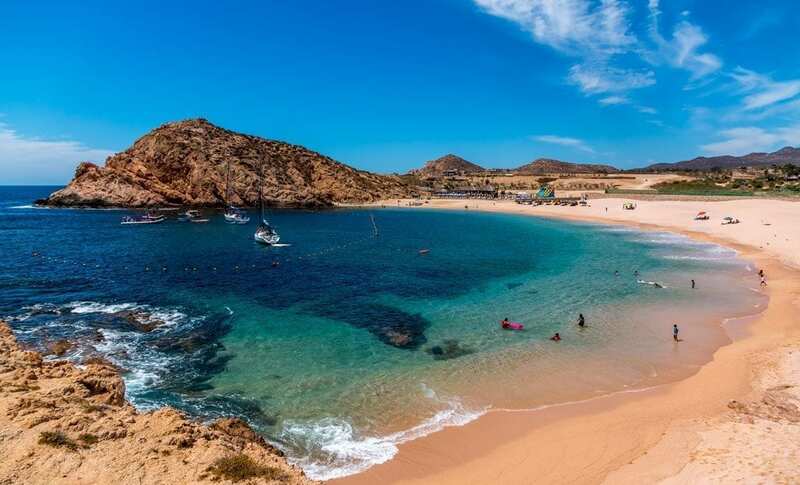 The glorious beaches of Cabo Pulmo and Balandra are just two amongst many reasons to consider Baja California in your 2018 travel plans. If you like surfing, again you have much to choose from. Many head to the Cabo San Lucas area. There are several areas of desert with a flora unique to the area. Take your sun block and lots of water. Visit the vineyards of the valley of Guadalupe, a little south of the US border. Mexico may not be a country that is commonly associated with good wine, but the soil and climate here is ideal for viniculture. The tourist office has a ruta del vino which lists the vineyards you can visit. 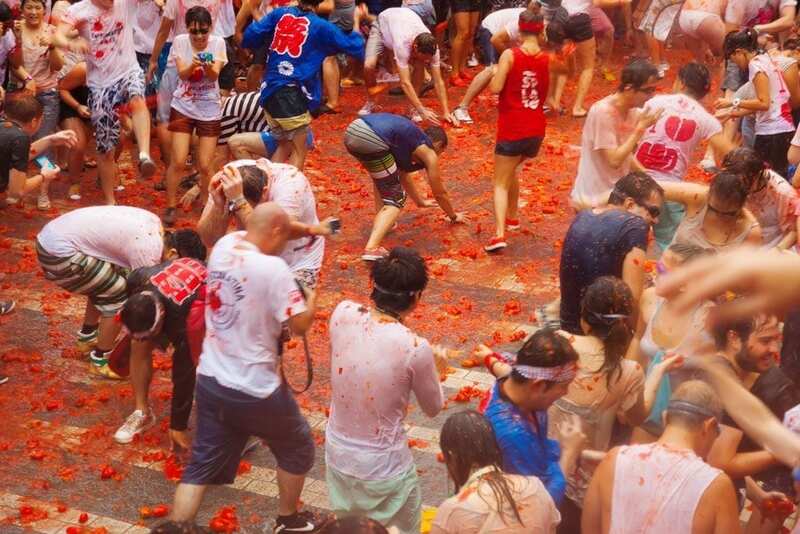 Travel tips come in all shape and sizes and if you fancy ticking off taking part in the world’s largest food fights, then head to the Spanish town of Bunol, near Valencia, for La Tomatina, held on the last Wednesday of August. Thousands of people make their way from all corners of the globe to hurl more than a hundred tonnes of over-ripe tomatoes at fellow tomato fighters. Due to its increasing popularity, the number of participants is now restricted to 20,000 and as accommodation is limited in town, many opt to stay in Valencia instead, so it’s essential to book your ticket ahead. Around 11am lorries convey the rotten tomatoes into central Plaza del Pueblo. The battle is supposed to start only after one brave soul has climbed to the top of a greasy wooden pole to reach a coveted ham – after all this is Spain the land of jamon ­– at the top. However, as this can take some time, and the fighters are getting trigger happy, the flinging tends to start well before the prize has been claimed. Water cannons signal that the tomato battle should commence and chaos ensues for an hour of reddening frenzy. After this no more tomatoes can be thrown. If you are lucky kindly residents might hose you down, otherwise there’s the nearby Bunol river to cleanse away your tomato-y sins. 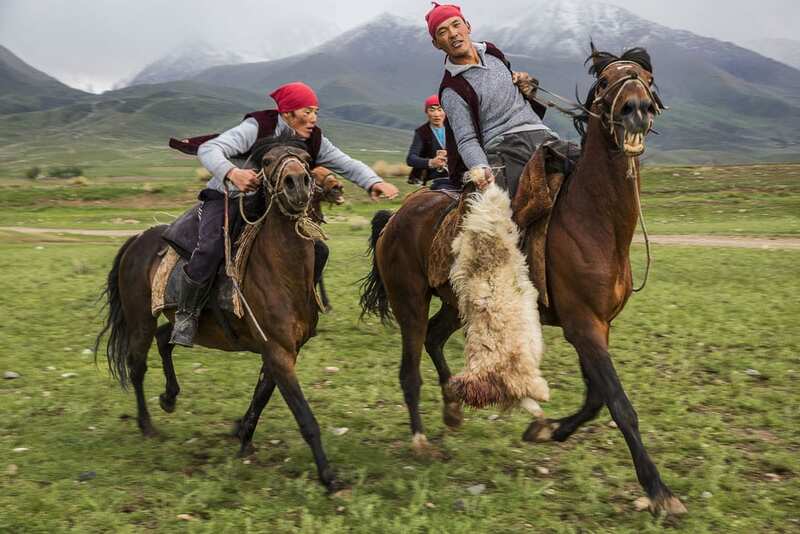 The penultimate of our travel tips is not for the faint of heart, buzkashi is a fast and furious contest between dozens of skilled horse riders dragging a heavy goat carcass and competing with each other to drop it into a marked goal, that is practised throughout Central Asia. Dubbed the most dangerous sport, it’s likened to polo, but with a headless goat instead of a ball. Before the game, the goat is decapitated, disembowelled and soaked in water for at least 24 hours to make the flesh tough and heavy. Grabbing and dragging the 60 to 90 kilogramme carcass requires great skill and strength meaning that most players don’t become masters before the age of 40. Although there are some ‘rules’ depending on where buzkashi takes place, it often descends into a chaotic and brutal affair. The Chapandazes, as the players are known, typically wear padded jackets and thick, cotton wool trousers to protect themselves from horse bites and whip lashes. The national sport in Afghanistan buzkashi is played throughout Central Asia, including Kazakhstan, Kyrgyzstan and Tajikistan. 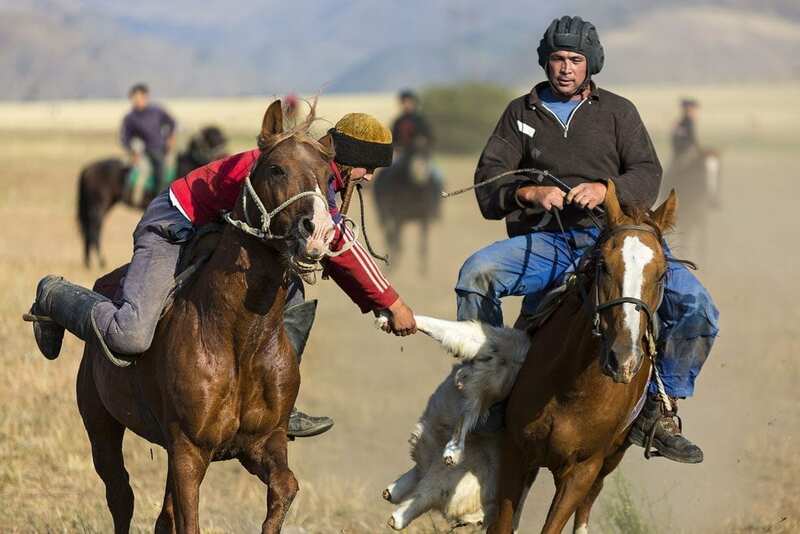 In Tajikistan the best time to watch the game is in spring during Navruz, the Persian new year, but the buzkashi season usually lasts from November to March. A buzkashi game typically attracts huge crowds with families bringing food, cooking plov – Tajikistan’s rice-based national dish – and making tea. Outside of cities, the games are often played on open fields with horse riders occasionally swarming out into spectator areas, so keep your distance. If all the Christmas and New Year festivities have been a bit too much – for your liver at least – then perhaps you should kick start 2018 with a detox. I know what you are thinking – I just can’t live on two carrots a day and even the thought of having an enema makes me cringe – but it doesn’t have to be that way. Kamlaya Koh Samui has built up a global reputation for the strength of its wellness programmes whether it’s detox, fitness, yoga and meditation, or just a relaxing break that you are after. Just look at the accolades the Thai resort has picked up over the years. Underpinning the success is the philosophy of treating people like adults not patients. So, if you fancy having a bottle of wine with your meal, or a gin and tonic on the terrace watching the sun set, then you can – just don’t sign up for the detox programme. With children discouraged and mobile phones banned from public spaces this is a great place to get away from it all and digitally detox. To get a better idea of what to expect, read Mark Bibby Jackson’s On the Road to Wellness, or better still log on to the Kamalaya website and treat yourself. If you want to receive travel tips like these throughout the year, please sign up to our free newsletter. This is an interesting read to take note of! A different kind of travel experience indeed, thanks for sharing. What travel experiences have you had and what were the precautions made? We are all very experienced travellers who write for the site. Your question about precautions is pretty vague – clearly you take different precautions for a trip to Paris than trekking in Nepal, so it depends on where you are going and what you are doing. Can you be more specific? That Headless goat polo looks pretty awesome to watch, I’ll add that to my travel list. Looks really fun and exciting. I want to try that Detox at Kamalaya it seems so relaxing and can relieve stress.